The picture that comes to our mind when we think of a nun is of a person with a serene, untroubled look on her face. KOCHI: The picture that comes to our mind when we think of a nun is of a person with a serene, untroubled look on her face. And it is this image the laity always wants to see. But has anybody looked past the facade and tried to ascertain the underlying emotions? The recent incident that shook the church and the laity alike pinpoint to the fact everything is not right in the convents, which still follow the age-old customs and laws. A nun’s life inside the convent varies according to the congregation that she belongs to, said Sister Lucy, belonging to the Franciscan Clarist Congregation. There are around 128 congregations, belonging to the Latin, Syro-Malabar and Syro-Malankara rites in the Catholic Church in Kerala. “The Catholic Church has around 128 congregations and each of them has a different set of rules. However, the basic rule that governs every congregation is leading a life of simplicity and piety. 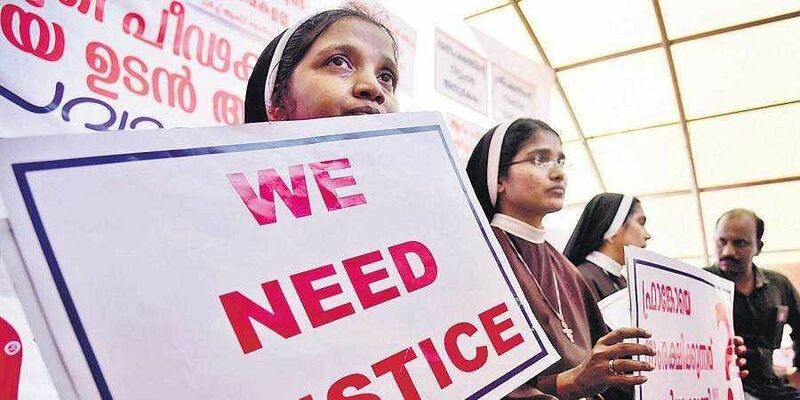 Ours should be a life of service to God and also the poor,” said the nun who took part in the recent nuns’ protest in Kochi. “Sometimes, people lose the way and end up being miserable. But, this happens only in the case of those who take the veil under some false notion,” she said. 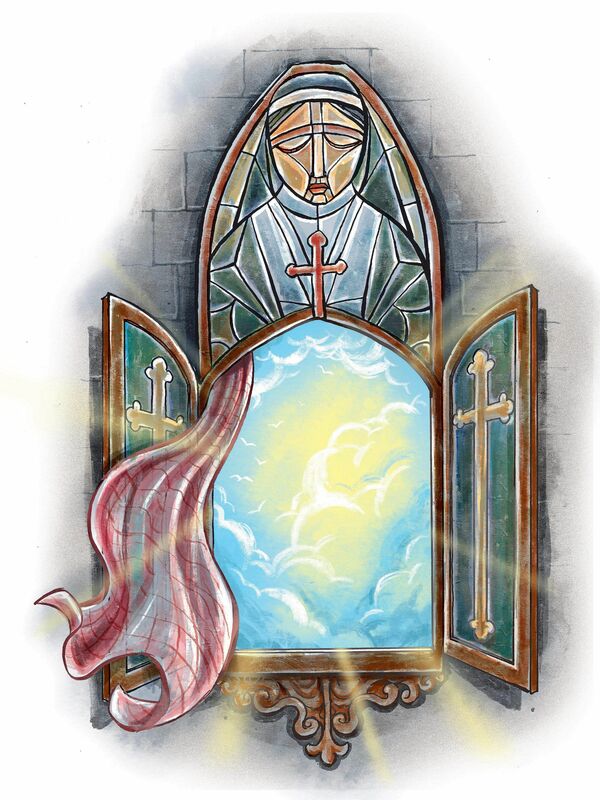 “I decided to join the convent because I got the divine call and till date, I have been following the path shown to me by my Lord Jesus,” said Sr Lucy. She said, of course, even though convents are places where all human emotions like jealousy and anger should never find a foothold, the evils do carve out a niche for themselves. “After all, we are human beings,” she said. Another oft-heard complaint is that a lot of discrimination happens inside the convent. “Girls coming from financially backward families are the ones who have to bear the brunt of discrimination,” said a nun, who does not wish to be named. “The merit of the nuns is measured in terms of the gifts their family members bring when they come to visit them. If the gifts are found to be not up to the standards set by the senior sisters, then the nuns fall from their grace,” she said. Another problem the nuns face is the lack of a tidy pocket money. “It is often assumed since we live in a convent and lead a simple life, we don’t need money. If we want something, we have to go to the higher-ups in the convent and request them to give us the required amount. Once all their queries are answered, they issue us the money,” said Sr Lucy. Those sisters who work too can’t keep their salaries with them. “All the nuns who work have to deposit their salaries with the Church. The situation is funny since the money that we earn after toiling for hours in various professions have to be given back. In order to do any community work like helping the poor in the parish financially, we have to yet again go via the chain of command,” she said. One can’t be outspoken or raise a complaint, she said. “If you do so, you are branded a pariah. Like I have become after taking up the cause of the abused nun,” said Sr Lucy. According to the nuns, the Church needs to bring in reforms in tune with the times. “Instead of bringing in novices by promising them goodies like free education and jobs, the Church should try to bring in people who are actually suited for the calling,” said Sister Anita, serving in north India.